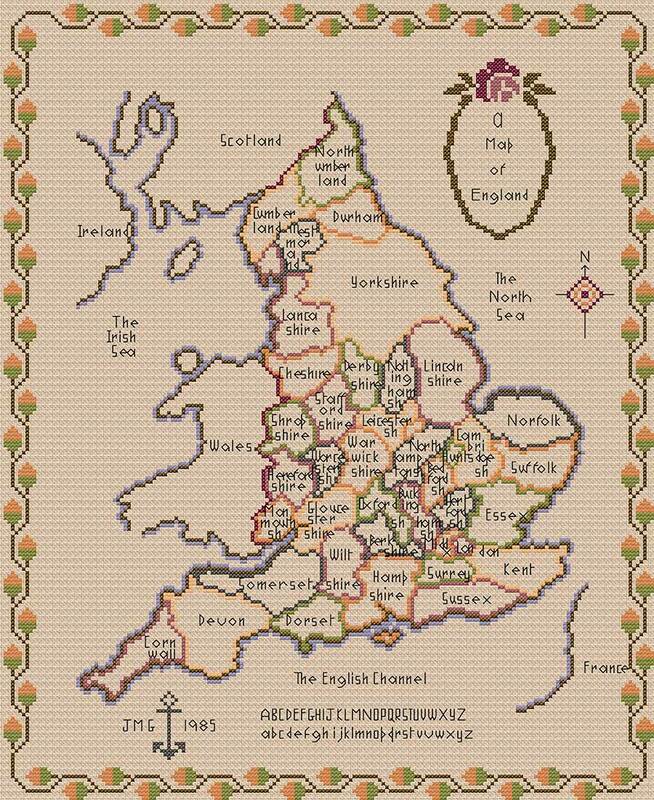 Charted from one of my antique map samplers, it features the old counties of England. I have included a backstitch alphabet which you do not need to stitch but allows you to personalise your sampler. I suggest working all the writing in dark grey. This is worked in pure cross stitch so you could stitch this on the fabric of your choice.